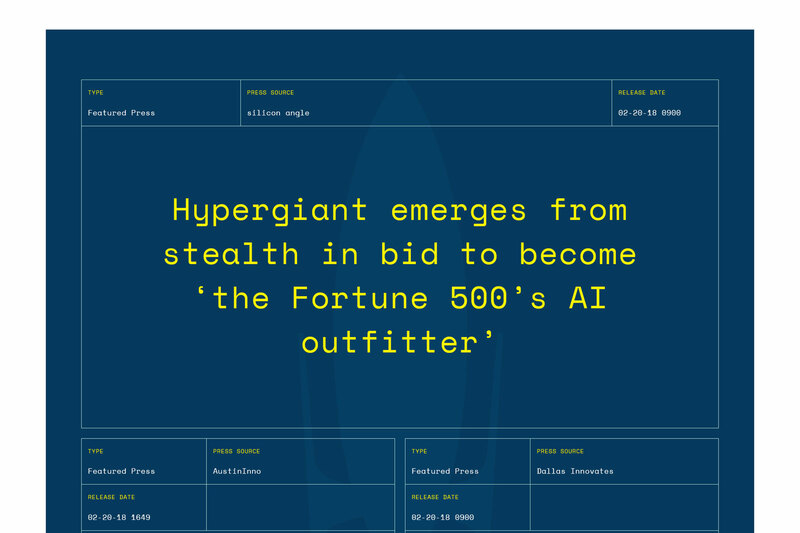 Hypergiant Space Age Solutions division works with Fortune 500 companies to solve their real life problems with custom AI solutions. Hypergiant Applied Sciences division develops and tests their own AI products based on experience from working on industry-specific AI solutions. 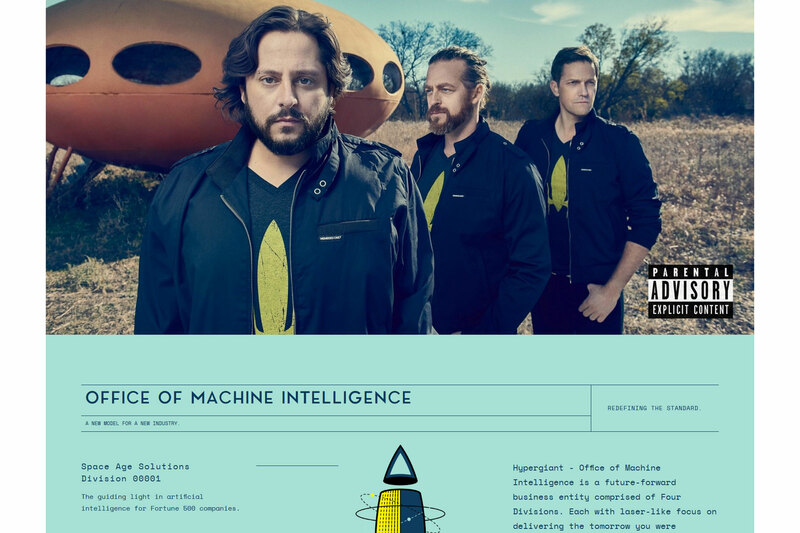 Hypergiant Ventures invests in promising new AI startups. 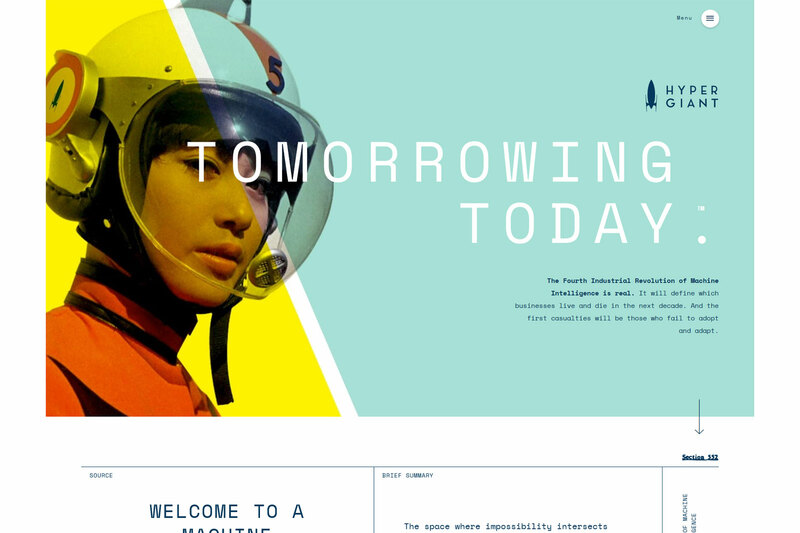 Hypergiant’s Founder and CEO, Ben Lamm, came up with a bold brand identity for the company based on the idea of “retro-futurism”. It mixes up vintage imagery and typefaces, with a loud and proud brand voice resulting in an ambitious, thought provoking and mysterious brand. 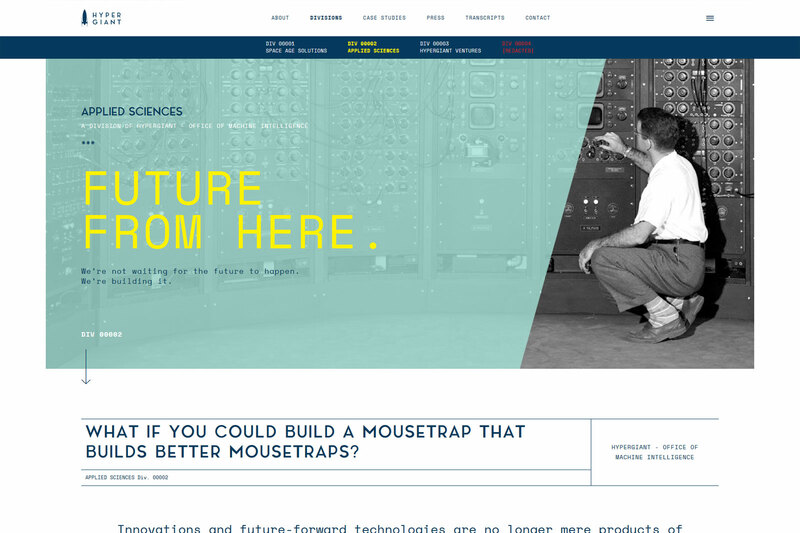 The new website design was intentionally cluttered, ultra-complex and often times misleading. Combined with a tight deadline of 3 weeks, it didn’t seem like a relaxing job. Working on other Ben’s projects like Conversable in the past, Xfive was ready to take up the challenge and deliver a precise conversion on time so Hypergiant can take off towards its bright future. Hourly billing as designs were delivered gradually over the course of project. Meeting a tight deadline – clever usage of our available resources and our custom WordPress development framework Chisel allowed us to meet the tight deadline. 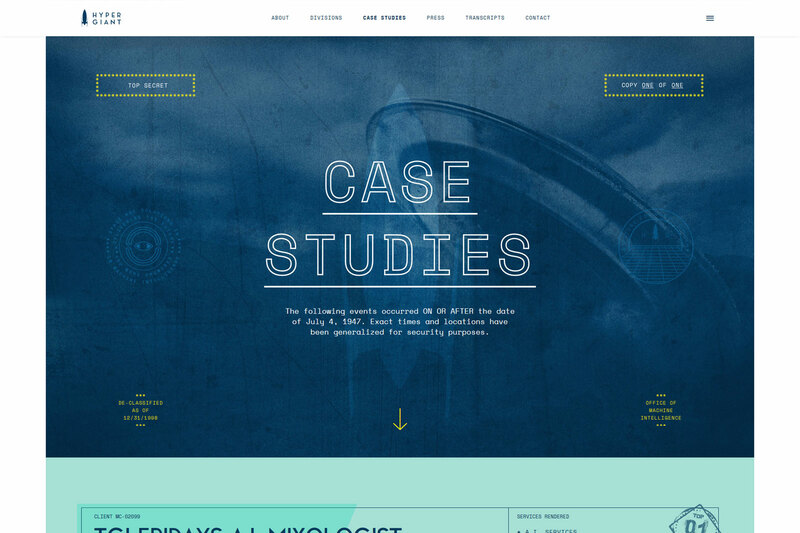 Ready for an extensive press coverage – the new website was a cornerstone during the initial buzz around the Hypergiant launch, with more than 30 national and local publications reporting about the company and referring to its site. Great work is defined by its details. One such detail is a hover effect of mysterious Division 0004 that appears on the Hypergiant home page. The background image is loaded through canvas and certain pixels are transformed on hover with an open source effect based on three.js library. The result is a small but powerful detail which adds to the mystery of classified information.